Weekly specials are only available through me & are not Maskcara promotions. This week’s focus will be on Maskcara’s beautiful eyeshadows! I’m offering a special this week, while supplies last. Buy 4 eye shadow singles + get a FREE mini quad. 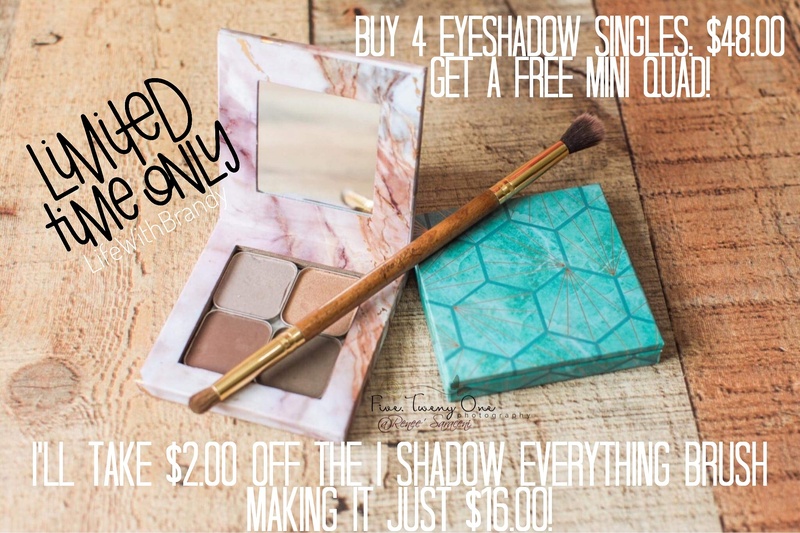 Then, I’ll take $2.00 off of your order with the I Shadow Everything brush! Just message me to place your order. Each eyeshadow is HUGE, 2.5 grams. That’s about twice the size of a single tin in an Urban Decay Naked Pallet. They are highly pigmented & beautiful on. Want to browse my shop? Be sure to use party number 1668 at check out!